Doryun Chong is Chief Curator at M+ Hong Kong. Previously Chong was Associate Curator of Painting and Sculpture at MoMA, where he organized contemporary exhibitions and acquired works for the museum’s collection. At MoMA, he organized “Bruce Nauman: Days” (2010) and “Projects 94: Henrik Olesen” (2011), and “Tokyo 1955-1970: A New Avant-Garde” (2012), and co-edited From Postwar to Postmodern, Art in Japan, 1945-1989: Primary Documents. Prior to his appointment at MoMA in 2009, Chong held various positions a curator in the Visual Arts department at the Walker Art Center in Minneapolis from 2003 to 2009, and co-organized exhibitions including “Haegue Yang: Integrity of the Insider ” (2009), “Tetsumi Kudo: Garden of Metamorphosis” (2008), “Brave New Worlds” (2007), and “House of Oracles: A Huang Yong Ping Retrospective ” (2005). 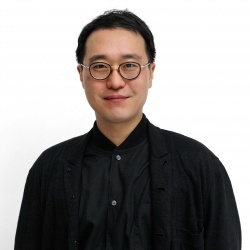 He has also curated or coordinated exhibitions at venues including REDCAT, Los Angeles, the 2006 Busan Biennale, and the Korean Pavilion at the 2001 Venice Biennale, and his writings have appeared in journals such as Artforum, Afterall, The Exhibitionist, and Parkett, and museum and biennale publications by the Auckland Triennial, the Gwangju Biennale, and Kunsthaus Bregenz. Chong is the recipient of the first ICI Gerrit Lansing Independent Vision Award in 2010.